Reverse Image search Engines has made it very easy way to help us find out details about images or get list of similar images. In some cases it helps to identify personal and professional images when you are a Photographer or a Blogger who use their own unique images online for business and do not want others to use the same images without your knowledge and without permission. You can even draw certain images which you want in picture format and search for actual images, which is really useful in projects for students. Here are the 6 Best Search Engines for Reverse Image Search which we consider are the nest of the lot. It is the best Reverse Image search engine which everyone knows about and this being from google the biggest search engine makes it even more preferable. With Google images all you have to do is upload the image and add a small description of the image to improve the search results. 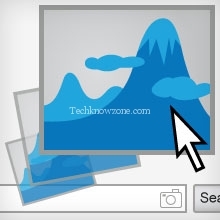 There is a Mozilla Plugin for Google images which can be installed for using easily. It is a great mobile service which tells you what item it is and even where you can buy the item. It is a great image search service which was recently acquired by Amazon. It lets you Snap a picture of the cover of any book, DVD, CD, or video game and within seconds get a rating, description and links to Google, YouTube, Wikipedia, IMDb, Barnes & Noble. You can use this app to know details about items while shopping in a market or supermarket. It is a Reverse image search engine which lets you find similar images to the base image which we have uploaded. Tiny eye can even be used as a plugin in Firefox which is easy to use. In TinyEye we can search for images and find similar images present on the internet. If you have a website or a photographer you can use TinyEye to search for stolen images or un-attributed images on the internet. Multiservice Image search as they call it lets you search for similar images to the one you have and it also gives an option of ignoring the colors or to search the image in black and white. IQDB is a It supports only these formats JPEG,PNG and GIF with a strange maximum file size of 8192 KB and maximum image dimensions of 7500×7500. It is a Image search service which lets you search the location of the image from a database of over 6 million GPS-tagged images from the Internet. It shows you the approximate location of the image all over the planet, you can search for image of any landscape or city buildings and search for the location of the image through this service. It is a Reverse search engine which allows you to search similar images to the one which you have, or if you have something in mind but not the image, Gazpopa allows you to draw one and search for similar images related to this.